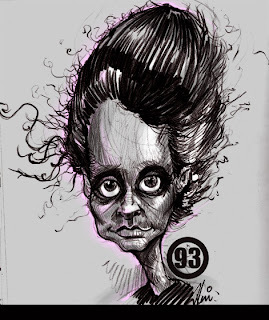 A caricature of Marie Curie, she was a pioneer in the filed of radioactivity. nice one! she looks pretty crazy, all those hours of exposure to radium couldn't have been good for her health.